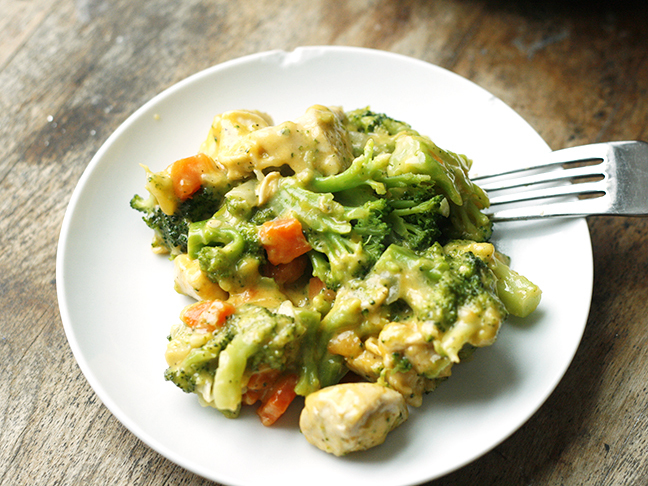 When I was a little girl, my mum would sometimes make a dish that combined chicken, broccoli, and cheese in a casserole. It would bubble to divine perfection and then we’d dig in. 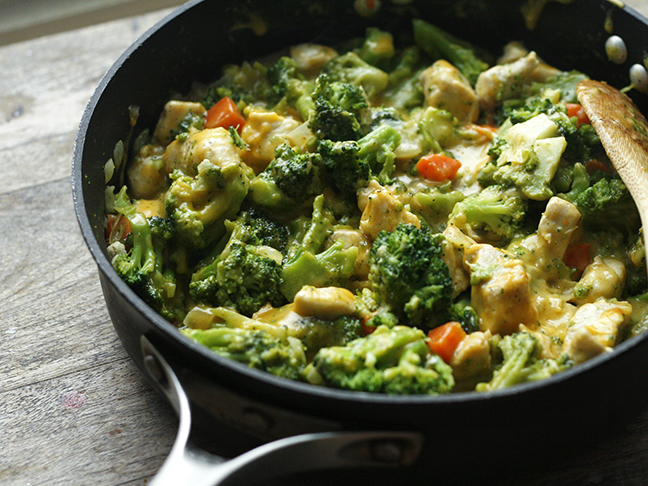 This One Skillet Cheesy Chicken With Broccoli Recipe is like that, but even easier. You just throw everything in one pan and cook it all together. Score one for busy mums who want an easy dinner that the whole family will love. And yes, my family really does adore this dish. My daughter requested to have it every night (sorry, no — variety in what we eat is a good thing!). And as a mum without a dishwasher (I know, horrifying) I love how easy clean up is too. A single skillet? I can handle that.